Want to submit listings for People or Companies? 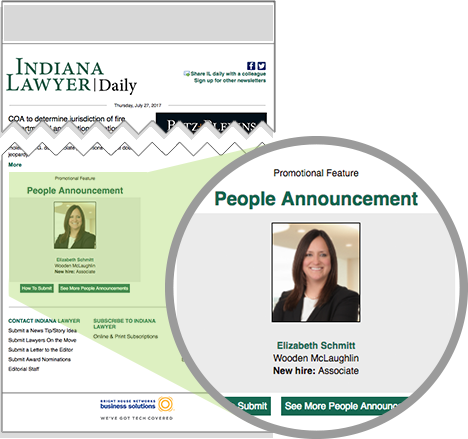 Indiana Lawyer features paid People and Company listings in print, in Indiana Lawyer Daily and on our online landing page. and much more to Indiana Lawyer’s audience of legal and business leaders. Has your law firm recently moved? Have you brought on a new partner, resulting in a change to the firm’s name? 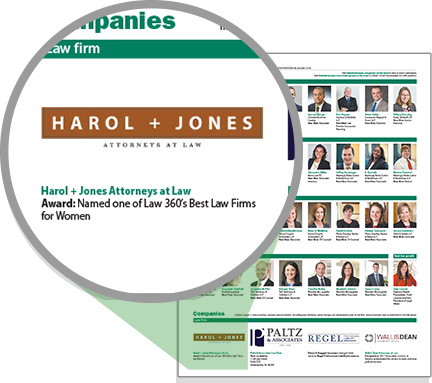 Has the firm received a designation or honor? 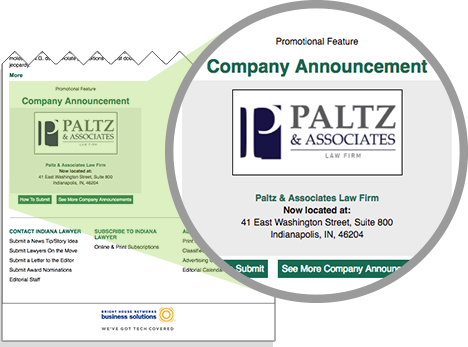 Announce that under our Company listings. 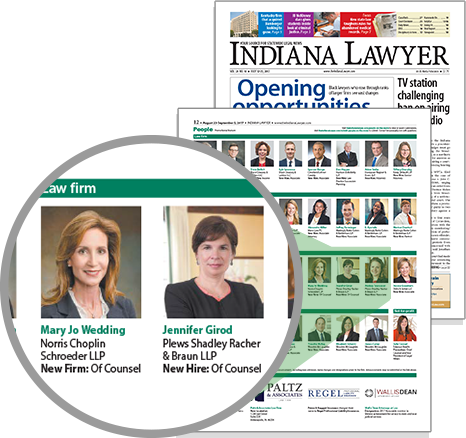 You can tout your new hire or company award in print, online and in Indiana Lawyer Daily. The listing options are below.